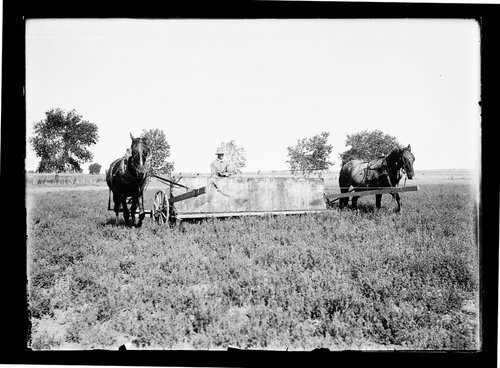 This photograph shows a man sweeping a field crop for grasshoppers on a farm in Finney County, Kansas. This appears to be an alfalfa field. Metal teeth went through the crop making the grasshoppers jump up, hit the back wall and drop into a container of some type.